“My job is only to convince my audience that it is worth their time and money, and I never take them for granted!” This is what this popular actor’s profile on various official social media accounts states. And, true to his words, he has been roaring with back-to-back successes enthralling his die-hard fans in return for their unconditional love and support. Sandalwood’s Roaring Star Srii Murali who turned a year older on Monday, experienced a double dhamaka — one with the teaser launch of his next release Bhaarate and another being the launch of his first look poster of his latest venture Madhagaja. The actor speaks exclusively to Bengaluru Chronicle about his fans, their love and support apart from his movies on his birthday, which he says is no more his day alone, but that of his fans who always make it a special celebration. “I feel blessed about experiencing such love and affection. It is even more special when people trust you with your work, which always boosts me to give my best as an artiste. Trusting someone with their hard-earned money and most of all, their time is something I cannot return. 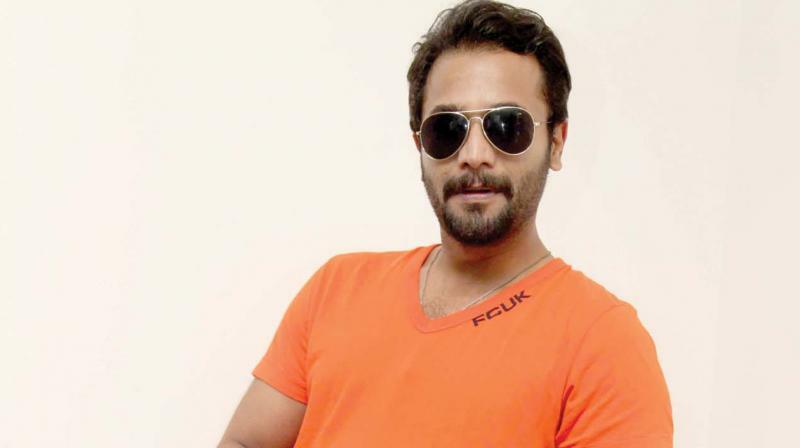 Yet, doing my work with utmost honesty to entertain them (is something I can do)— This is the reason my movies take a bit of that extra time, as I want to make sure that the audience does not leave the theatre disappointed,” says Srii Murali. On his birthday, apart from the teaser release of Bharaate directed by Chetan Kumar, his next venture titled Madhagaja’s first look poster was also unveiled by none other than Challenging Star Darshan himself. “It was a great moment, and I am very happy that Darshan released it on my birthday. It was very sweet and kind of him to do so. This time, I am making sure that 2019 will see the release of at least two of my movies. The only reason behind the delay in my films is that I constantly work towards impressing the audience. The visuals should speak first, and then I work on the basic aspects to work like magic,” he adds. Celebrating his birthday with fans, the actor shares that they are his “rulers.” “They rule me now. I have realised that it is no more my day. I had almost forgotten my birthday, infact I switched on my phone for just five minutes, and it started ringing continuously. I could only manage to take two calls,” says the actor. The father of two says that his children are most excited about his new avatar in Bharaate. Beaming with pride, he says, “They are surprised to see me in a new avatar. They said that daddy looks completely different in it, plus I do not look angry,” he smiles, adding that unlike his previous ventures, Bharaate is a commercial one, but with a different blend. “The director has shot me smiling and in a romantic sequence too. It was again very difficult to adjust to the smile as the audience has been witnessing me in an intense raw and rugged avatar. This is a film for an entire family to sit and watch together,” he says. For Madhagaja, which is set in the current era, the movie is slated to go on the floors after three months. The star will also be heading to Badami to shoot for a fight sequence for his film Bharaate.